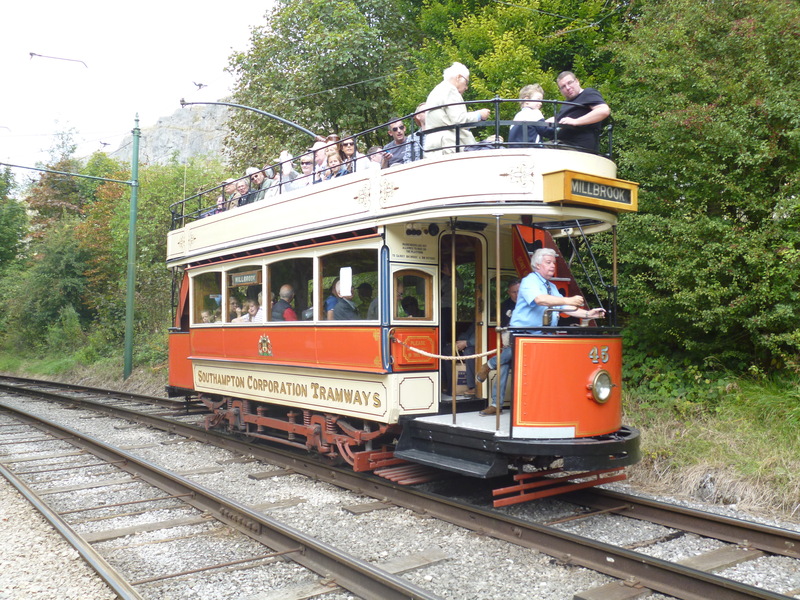 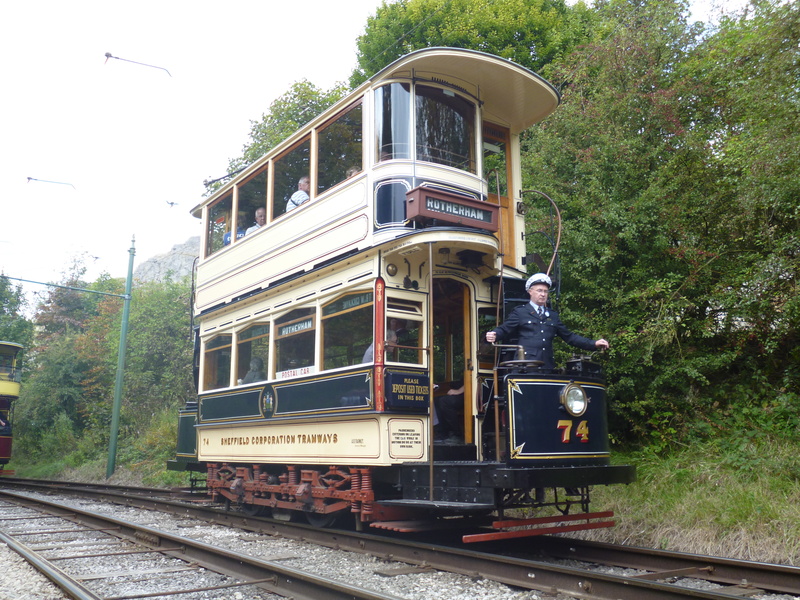 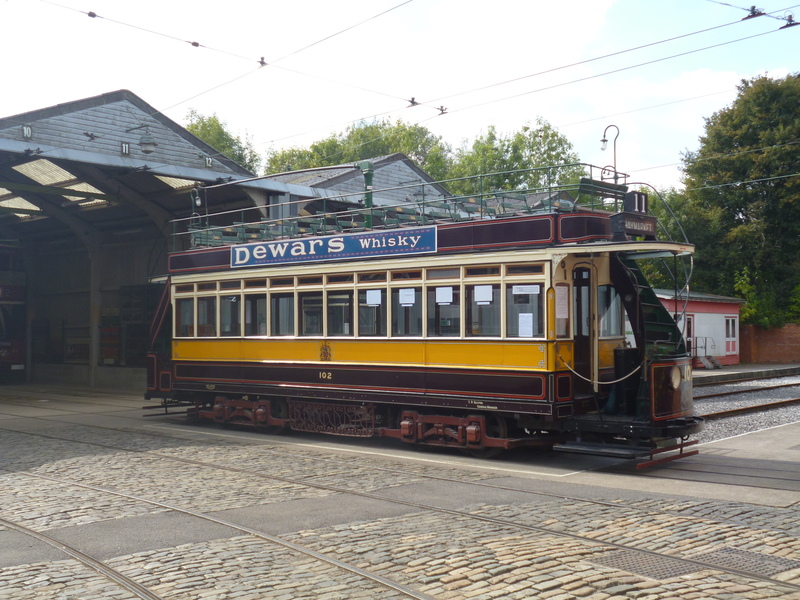 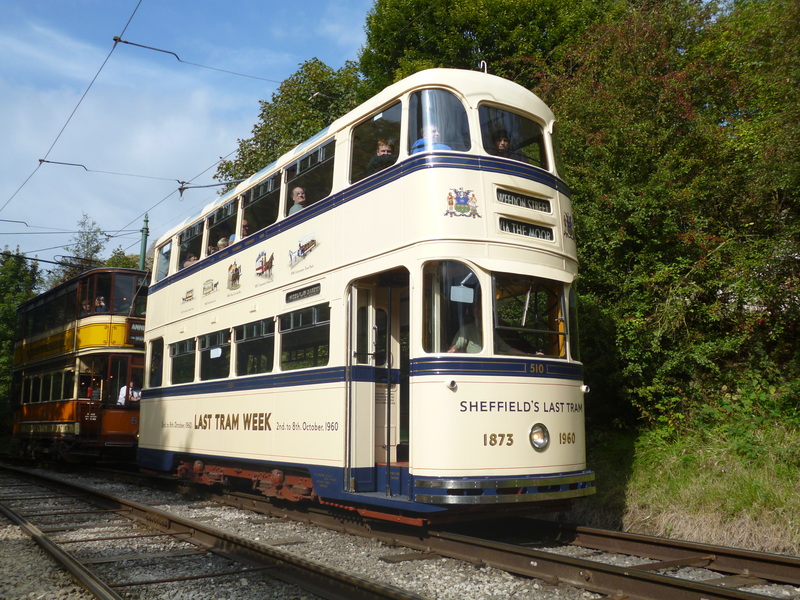 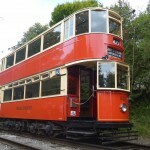 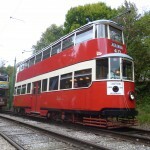 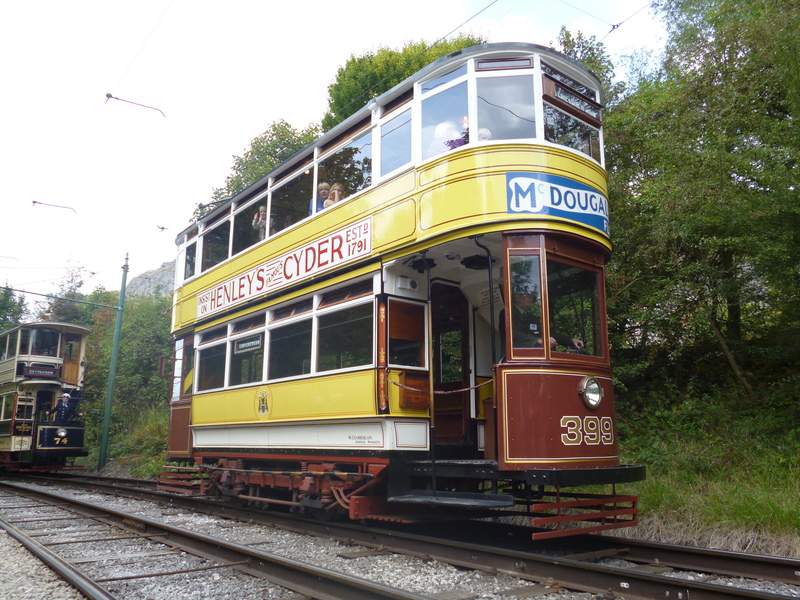 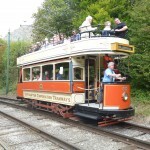 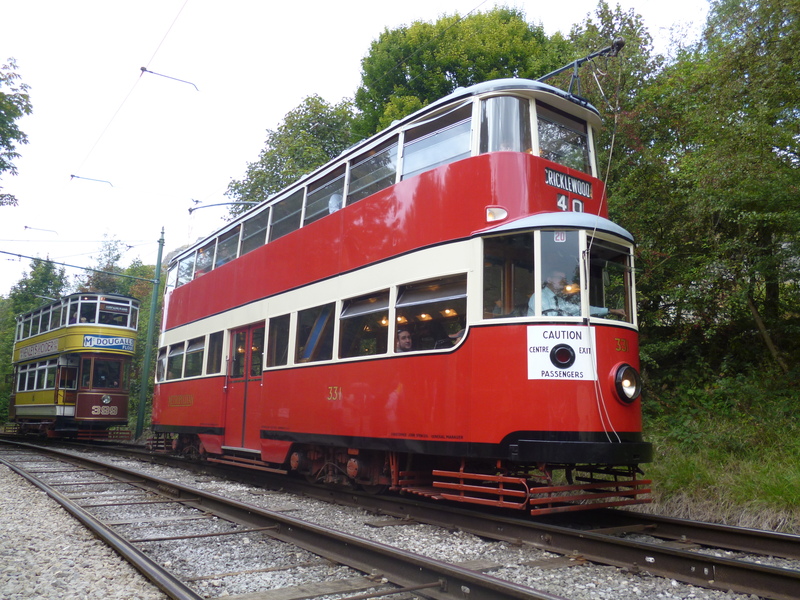 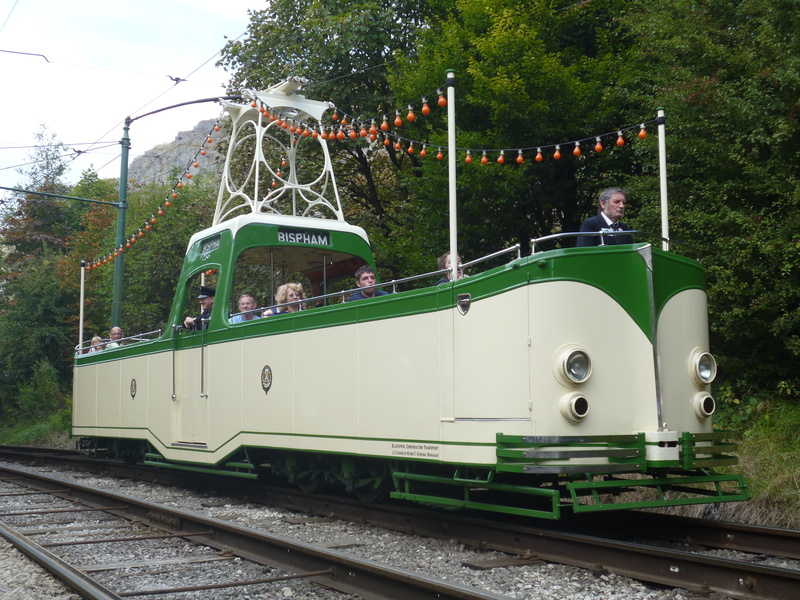 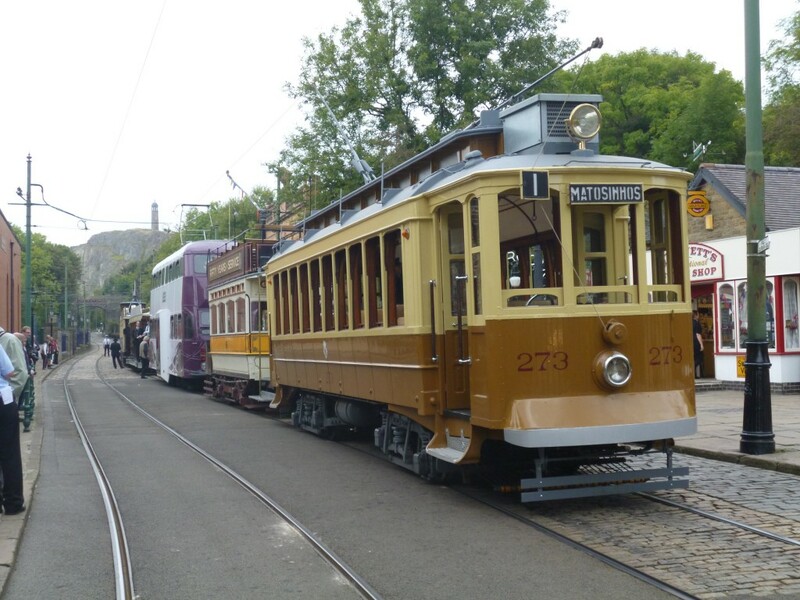 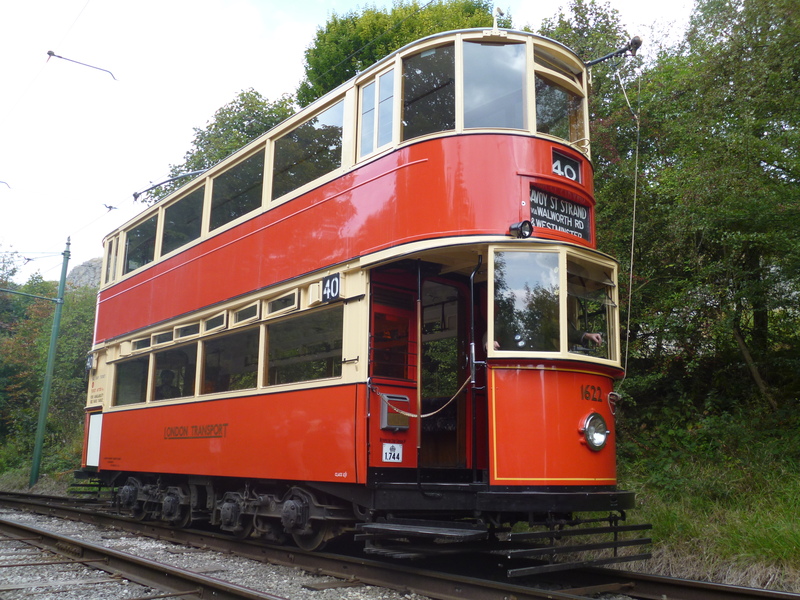 This last weekend the National Tramway Museum celebrated 50 years of electric tramcar operation at Crich with a superb event over the two days, including visiting trams, recommissioned cars and works vehicles. 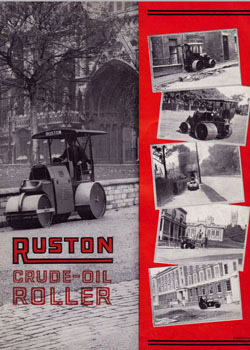 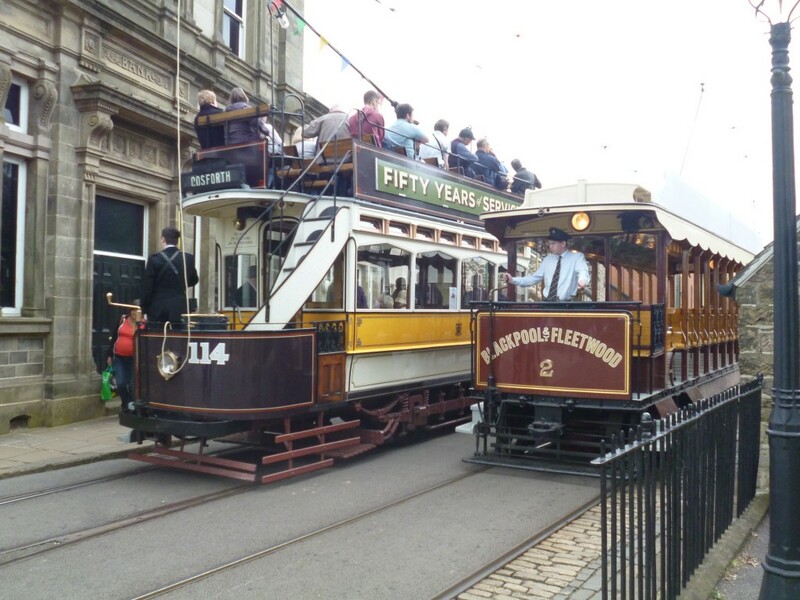 The highlights each day were a 25 tram parade which stretched the length of the street when finally formed up! 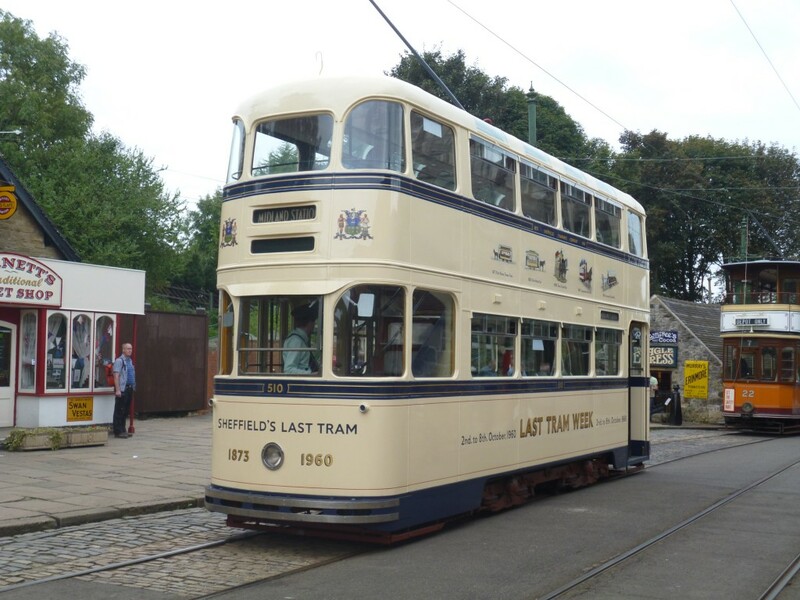 A lot of people clearly worked very very hard to bring this about and our own Newcastle 114 made its first appearance away from Beamish for the celebrations – the ‘Forty’ of its advertising boards being changed to ‘Fifty’ to read ‘Fifty Years of Service’. 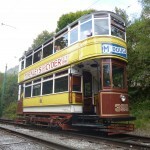 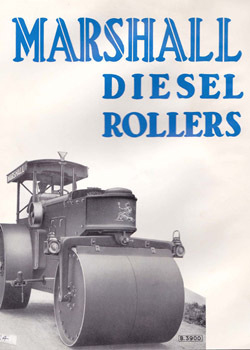 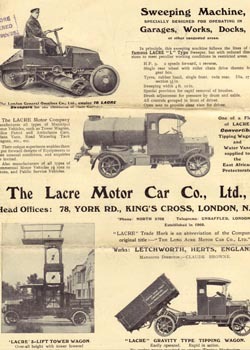 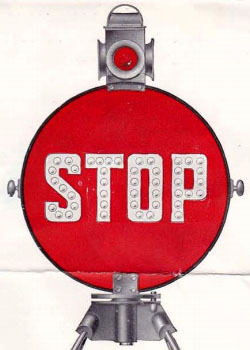 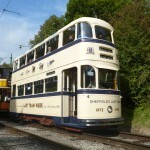 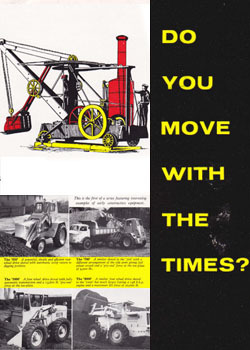 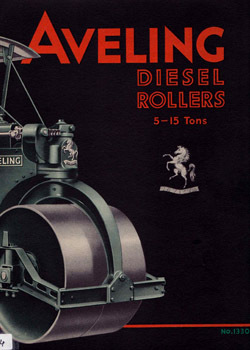 You can find more photographs on the TMS’ website, British Trams Online and Trams Today on facebook. 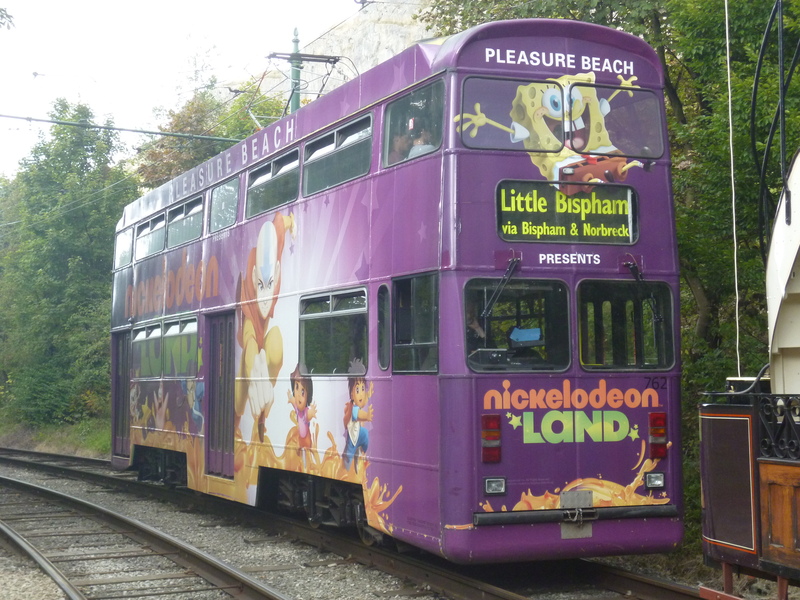 Below: Here are a few random photos, plus the Saturday parade in full (in the gallery), showing some of the things that were new (to me at least). 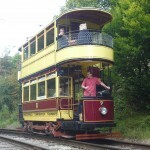 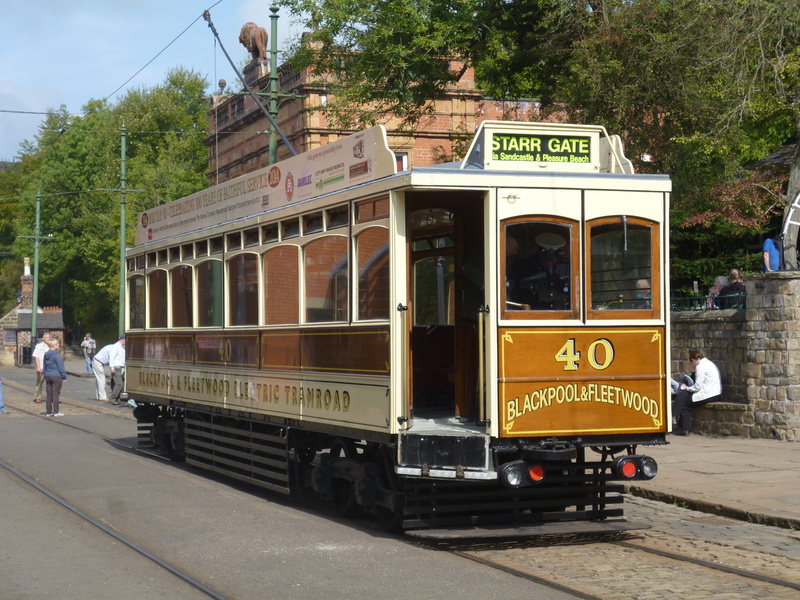 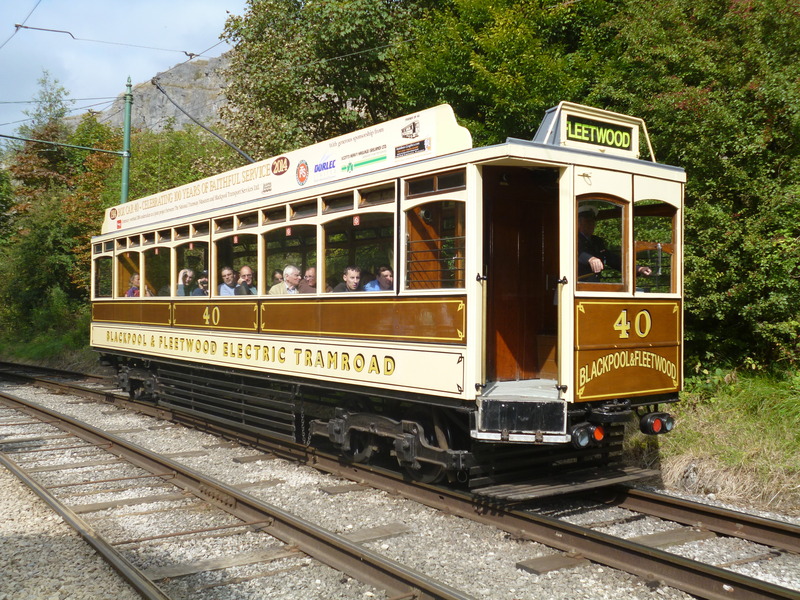 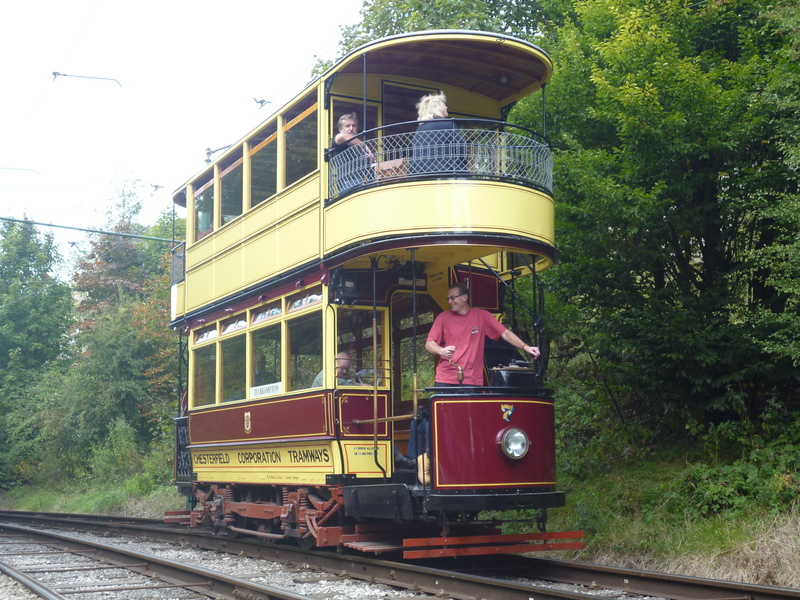 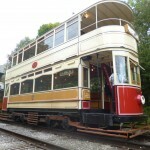 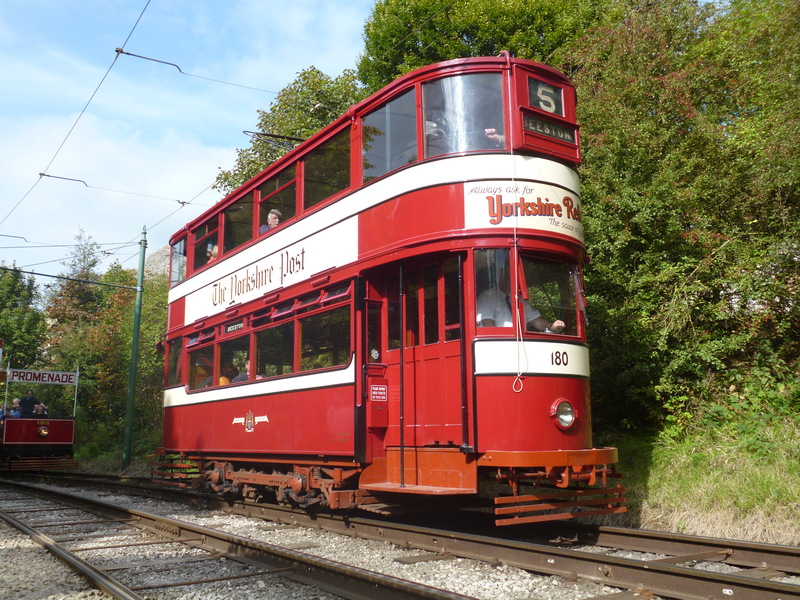 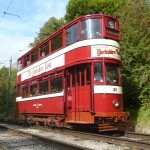 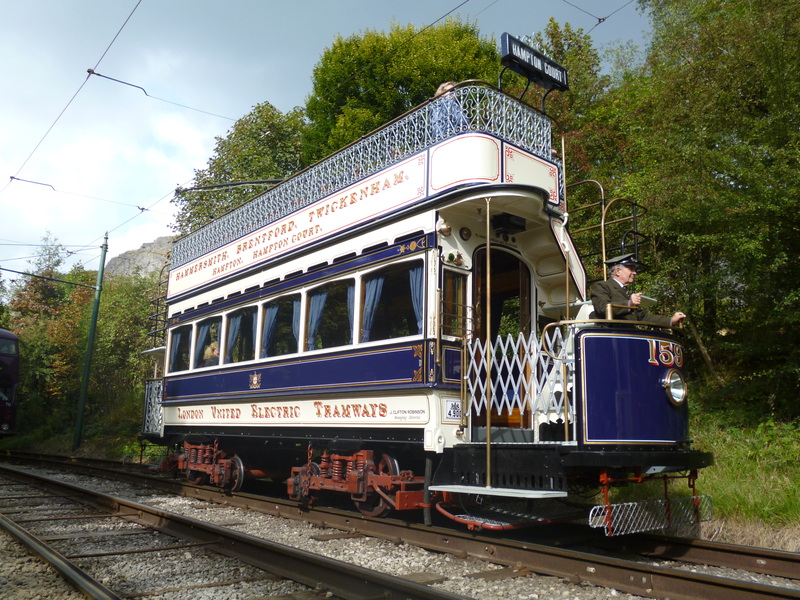 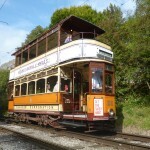 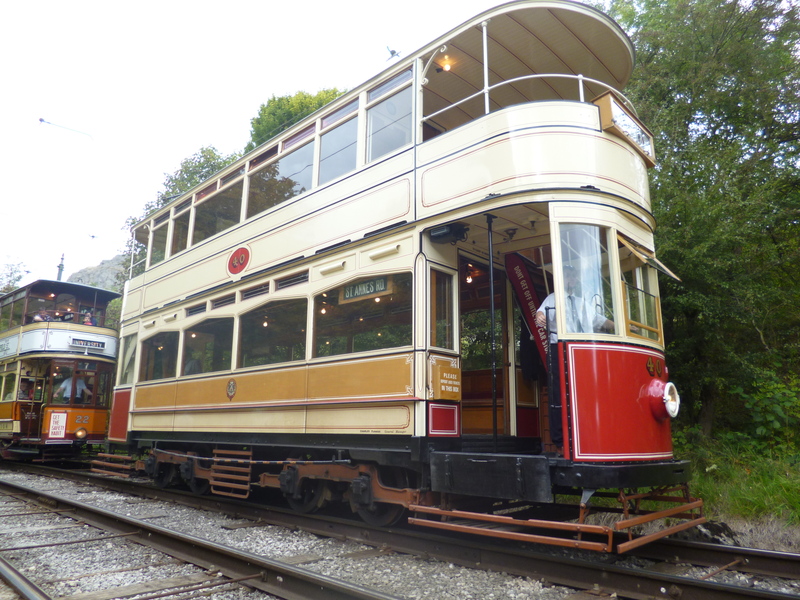 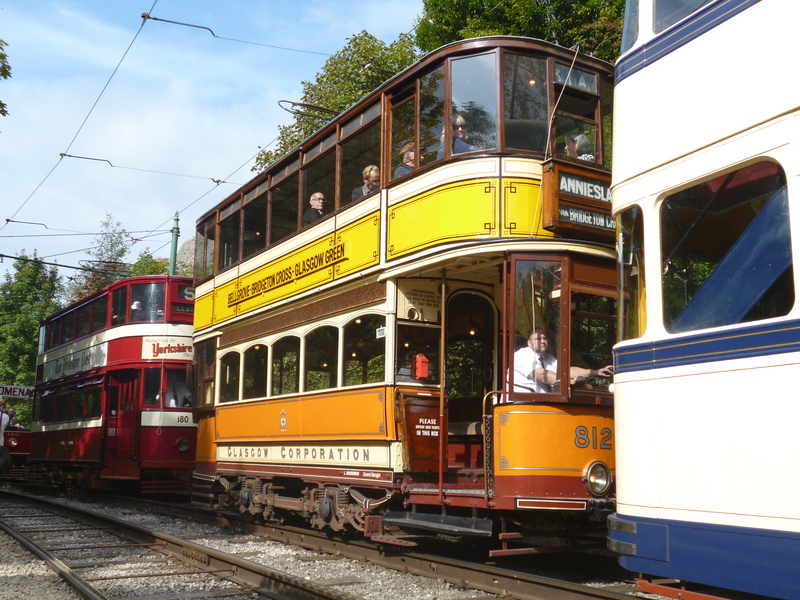 We start with Blackpool & Fleetwood 40 – a tram that has early history at Crich but has not in fact run so many years there, spending large parts of its preserved life at Heaton Park or Blackpool. 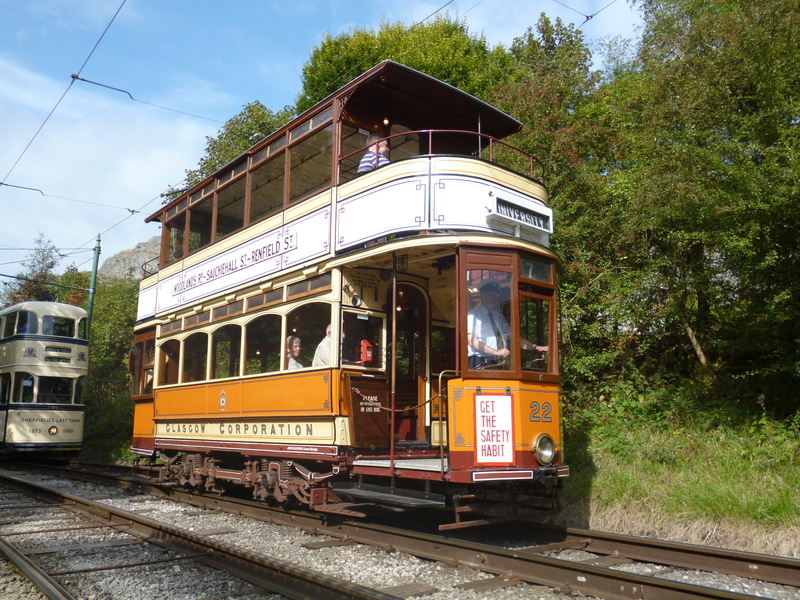 Below: A rare outing into daylight for Newcastle 102. 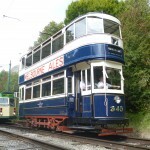 See more on this in the post ‘114’s trip to Derbyshire’. 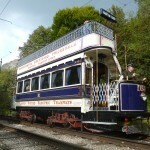 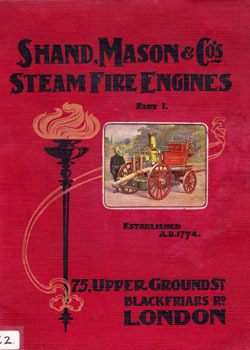 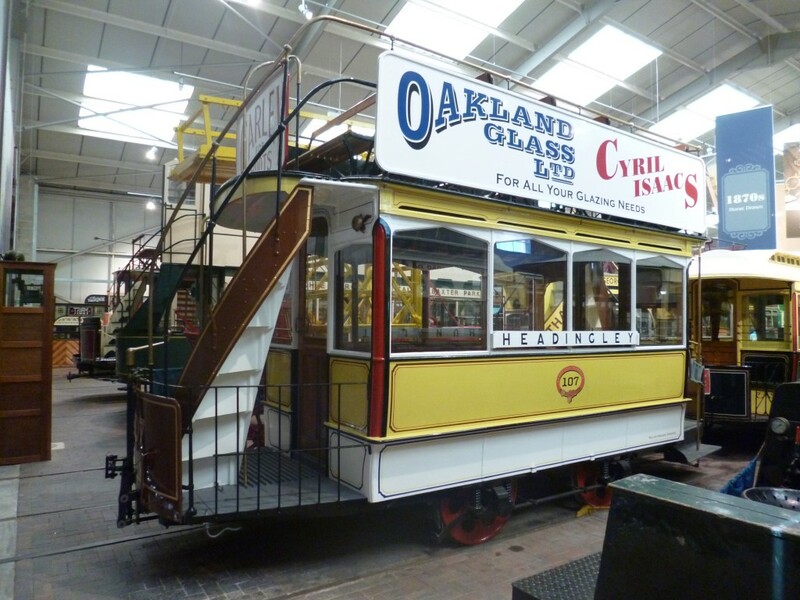 Below: Recently restored Leeds Horse Tram No.107 on display in the exhibition hall. 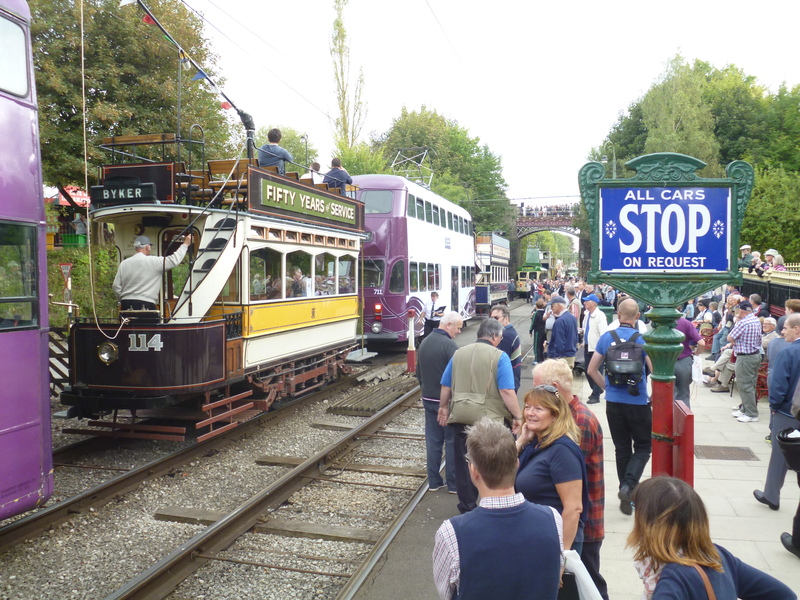 Below: The rear of the parade, stretching along the whole paved street line at Crich, 114 the penultimate tram in the parade, sandwiched between the two rather less attractive (in my eyes, before everyone writes in!) 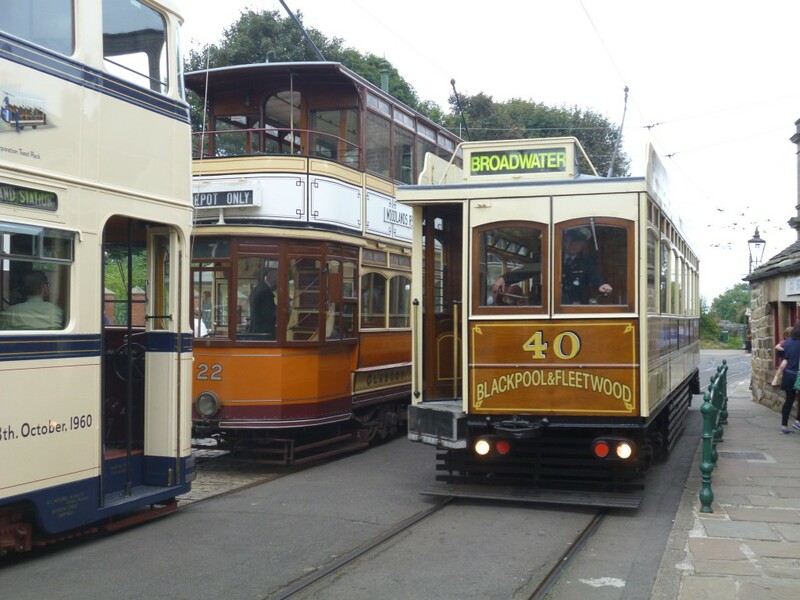 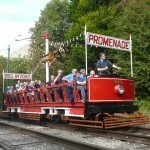 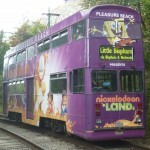 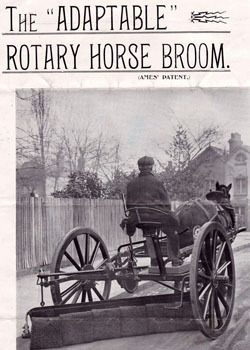 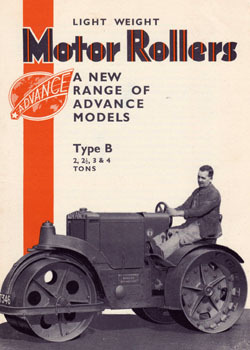 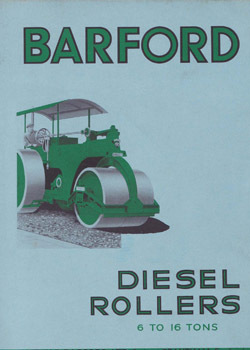 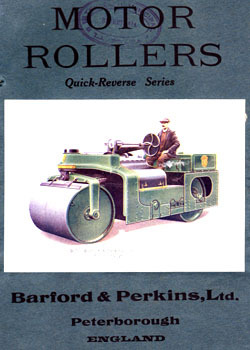 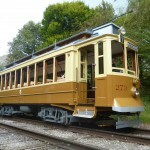 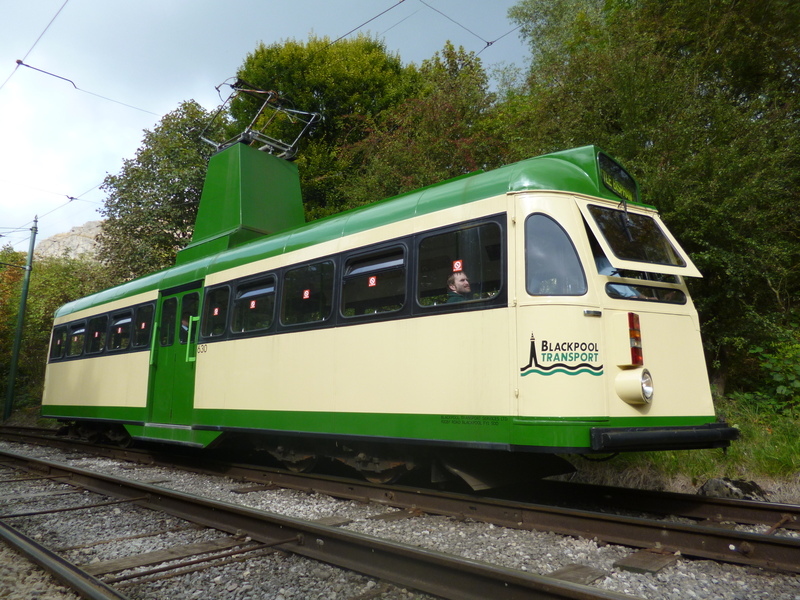 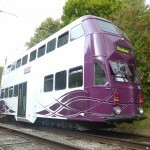 modernised Blackpool cars. 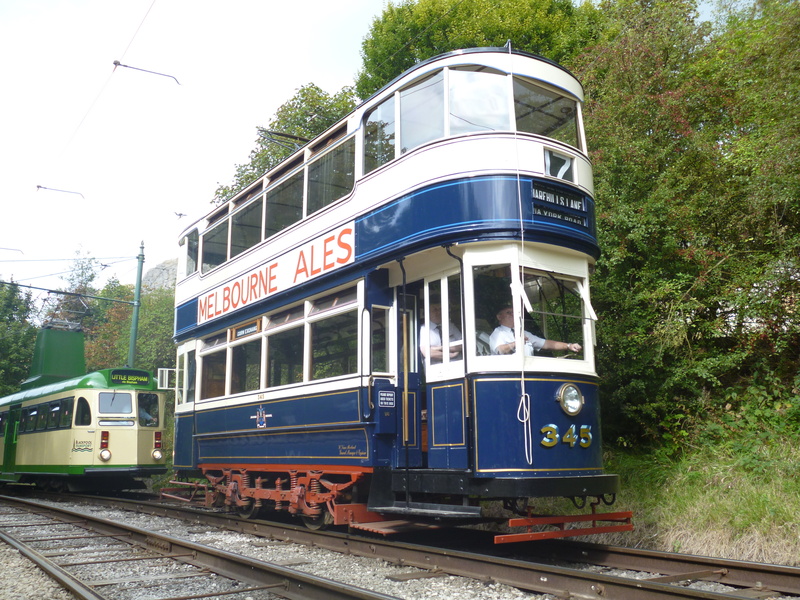 Below: A familiar tram in unfamiliar surroundings…!!! 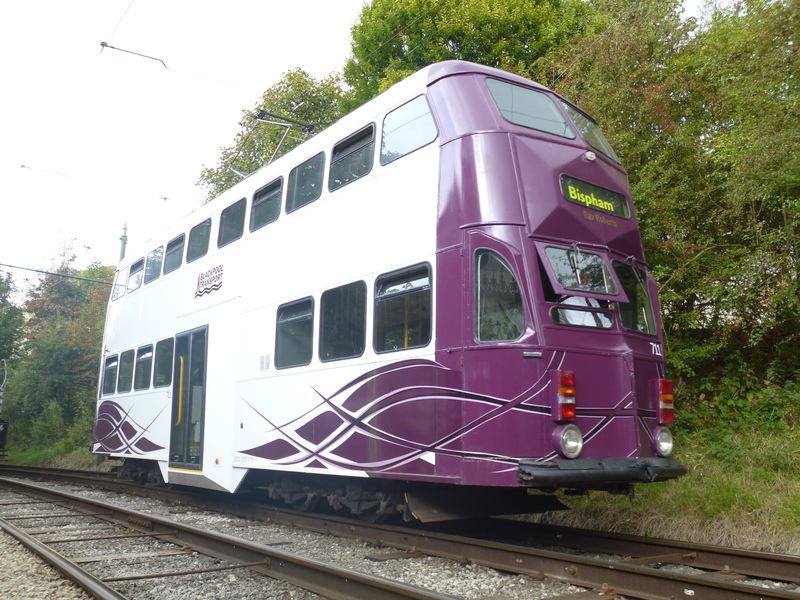 Below: The stunning Sheffield 510, following overhaul and repainting. 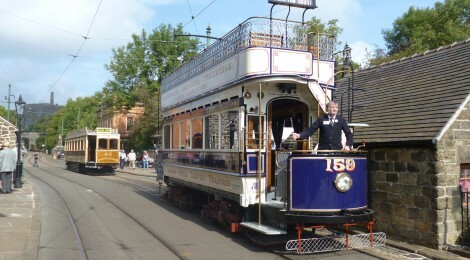 Newcastle 114 made a stunning contribution to our Electric 50 weekend. 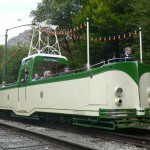 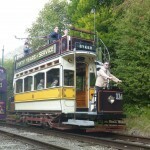 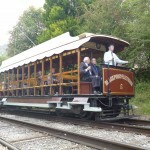 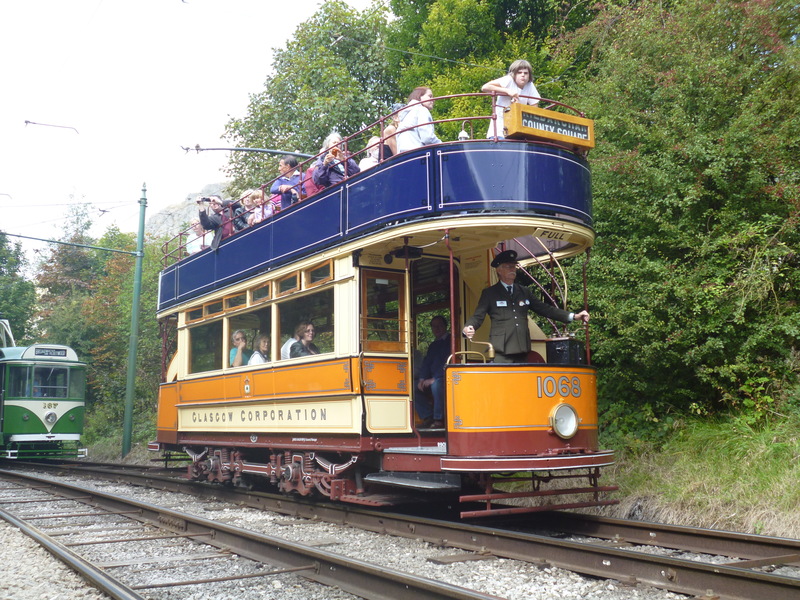 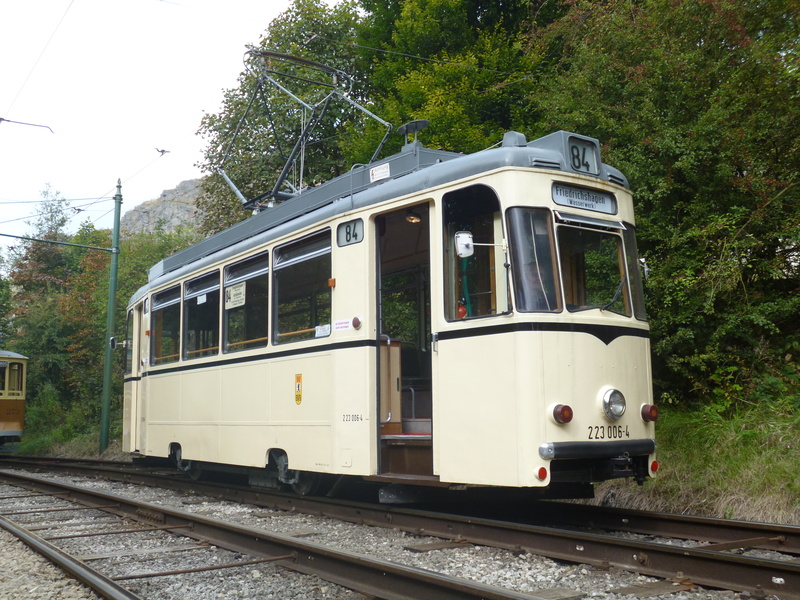 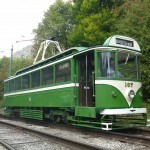 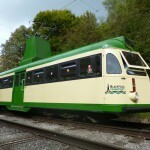 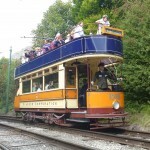 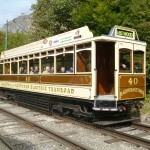 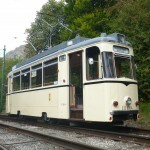 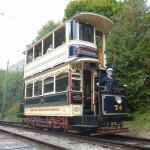 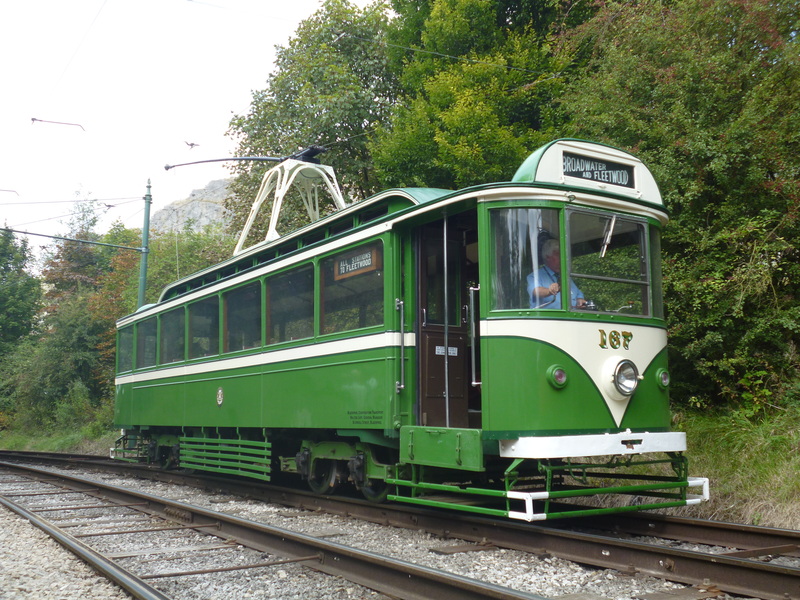 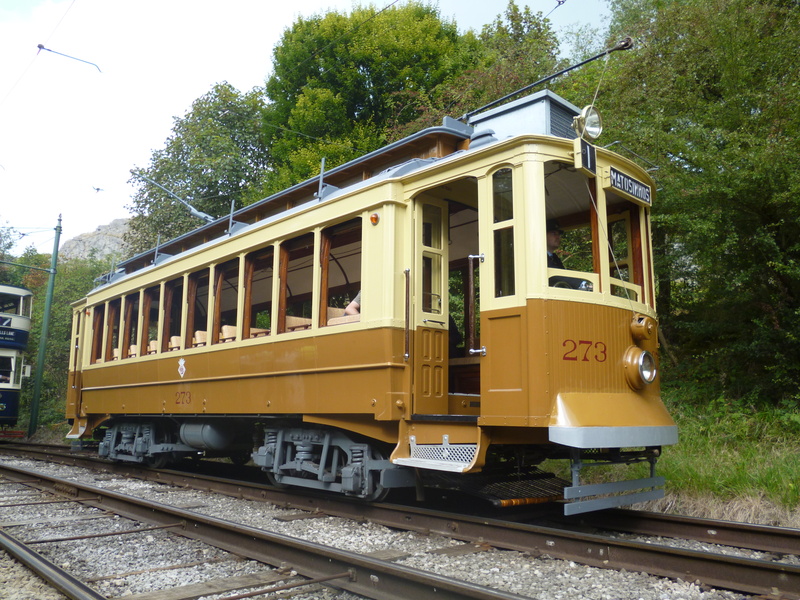 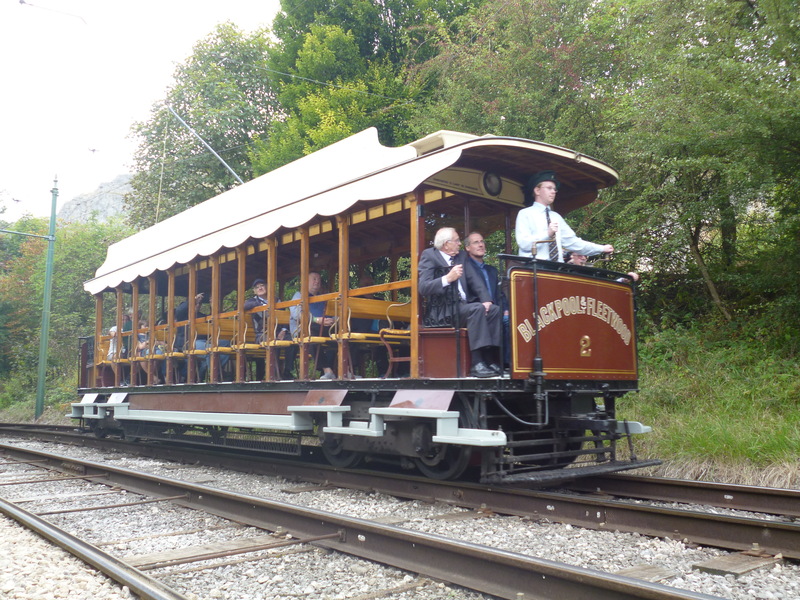 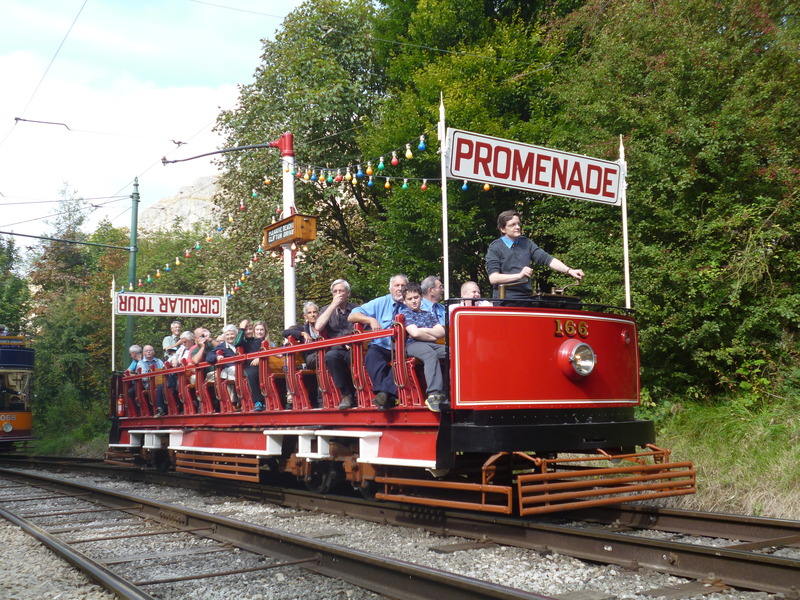 The tram was much admired by observers and enjoyed by passengers lucky enough to manage a ride. 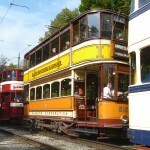 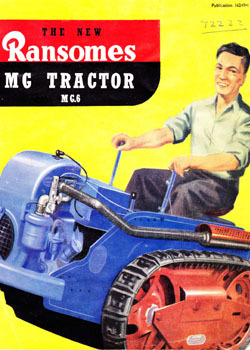 Look out for photos of it with our cars Newcastle 102 and Gateshead 5 in due course. 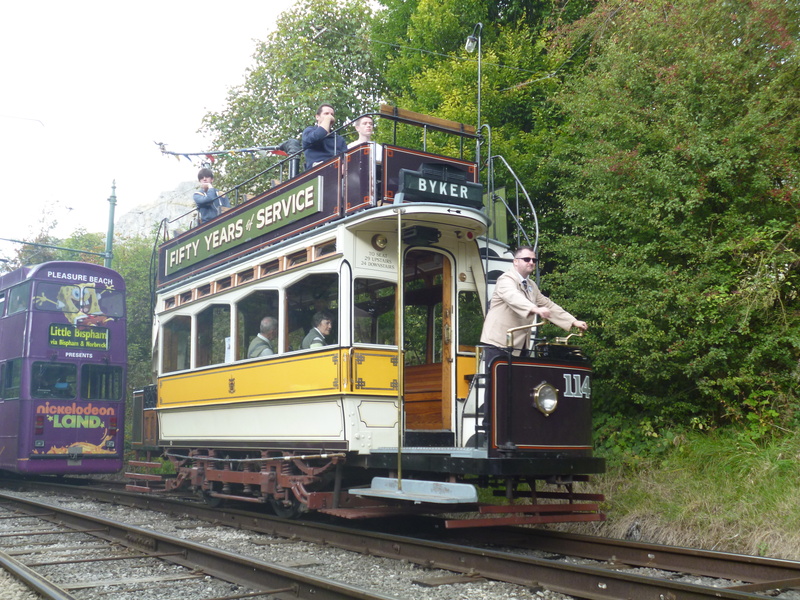 Thanks very much to colleagues at Beamish for their agreement to the loan and their assistance in making sure that our celebration of 50 years of electric operation at Crich had a special touch.